Q: How long before my vehicle gets picked up? 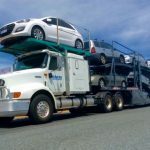 A: As our standard procedures, the drivers from Autoshippingpro.com will be assigned to your request between 24 to 48 hours from the time of which the booking has been made depending on the date of your vehicle transport would be ready. If you set the ready dates more than a week out then the drivers will be usually assigned between 3 to 5 business days. Q: When will the delivery happen? A: the typical delivery will be conducted between one to ten days from the day your vehicle is picked up and the mileage. We have provided our estimated transit times ready to be checked of a detailed view of approximate delivery times. Q: Is my shipment progress trackable? 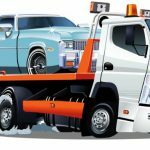 A: As part of our commitment, Autoshippingpro.com has 24-hour department that will always be there to help you with the update of your vehicle transport. Q: Is there any insurance covering my transported vehicle? A: Every vehicle that we handle will be insured against in-transit damage caused by carrier negligence or equipment failure by the auto shipping or car transport truck assigned. 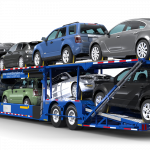 These auto shipping and car transport trucks, by law, carry a minimum of $750,000 public liability insurance. Q: How Much Do I Need to Pay For My Auto Shipping? A: You don’t need to pay for anything at least until Autoshippingpro.com has provided you with a driver. Once we have found you a driver with a schedule that will handle your job, a reservation payment is made with any major debit or credit card to secure your spot on the driver’s truck with the balance being due on delivery in cash, cashier’s check, or money order. You can also conduct full payment on a debit or credit card! Q: Do I need to have someone for Pick-up And Delivery? A:It is not compulsory but we recommend you to have one. But if you can’t do that, we could also make arrangement with the driver to ensure seamless transport experience. Q: How Many Items Can I Put Into My Vehicle? A: There is actually regulation by The Department of Transportation that put limit to the amount of items the drivers are allowed to transport in the vehicles that are shipping. We recommend to keep the total weight under 75 lbs. in the trunk or below the backseat window line. If there is anything exceeding 75 lbs, the driver will have to verify it. Q: How Can I Get a Quotation for My Request? A: You can either click our website and get our free quote or call us at (954) 600-7008 to receive help from our dedicated customer support. Q: How many days prior Should I Schedule My Transport? A: we suggest you to take 2-3 weeks prior scheduling for our best preparation. This way, we will be able to work up to smallest detail and fulfill your request wholly. Q: How Will My Vehicle Be Picked Up And Delivered? A: Here at Autoshippingpro.com we offer a door-to-door service to our customers if the protocols for traffic and safety is met. If the destination is a narrow street, the driver will meet you as close as possible to avoid any hassle or inconvenience.